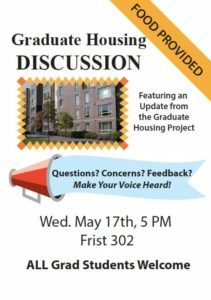 Come to our housing forum on Thursday April 18! PGSU will be hosting a housing forum on April 18th at 6:30pm in McCormick 101, to hear from fellow grad workers on their experiences with housing, and learn more about the Lake Campus plans. The university administration is also holding consultations and has put out a survey on student wishes for their housing, but as we have seen time and time again, our concerns are only taken into account when convenient, and any “consultation” is usually little more than a courtesy. Our aim is to have a worker-led discussion about the new Lake Campus, our rights as tenants, and how a union can and should act on accessible and affordable housing. McCormick 101 is ADA accessible. Reliable access to affordable housing for grad students: it’s one of the issues we hear about the most. 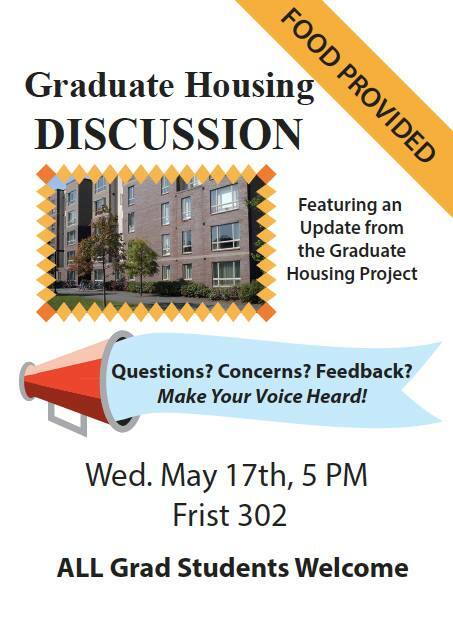 Please join us for an update from the Graduate Housing Project next Wednesday, May 17th at 5:00 PM in Frist 302. Bring your comments and questions. 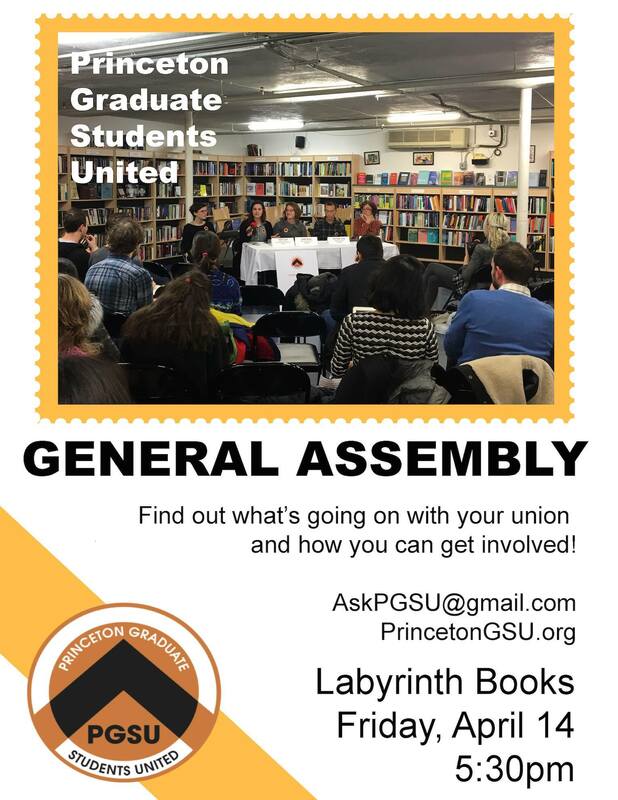 Find out what’s going on with your union and how to get involved. 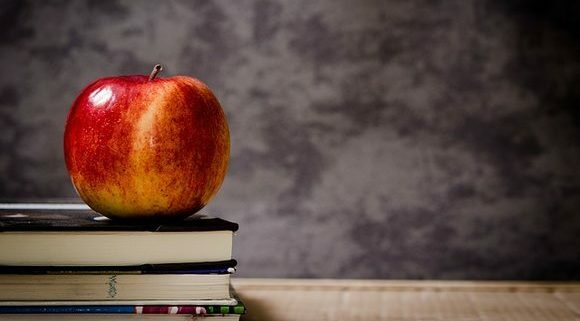 On Monday night, four panelists from NYU and Rutgers shared their experience with higher education unions and encouraged University graduate students to unionize. Last October, graduate students voted to affiliate their union, Princeton Graduate Students United (PGSU), with the American Federation of Teachers (AFT). Now, PGSU organizers are holding meetings and events to gather feedback on the union’s potential future. 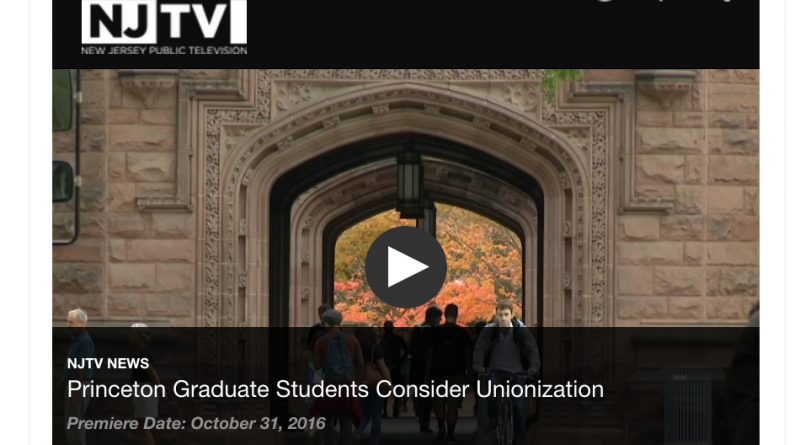 This will involve whether they continue with the process of unionization by holding elections for representatives, gaining recognition from the University, and negotiating a contract. Disha Karnad Jani, a first year history graduate student, gave a brief opening speech on the purpose of PGSU. 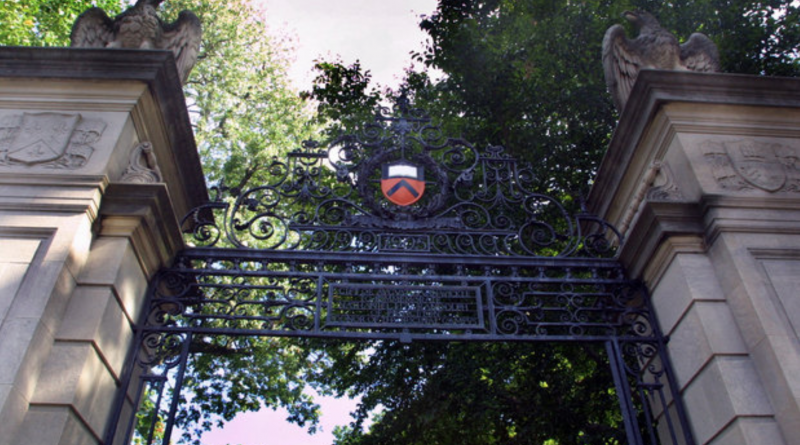 She emphasized that the union would give students the power to “negotiate as equals” and “build solidarity,” rather than impose an immutable “one-size-fits-all contract,” addressing fears that the union would not accurately represent all interests of graduate students.